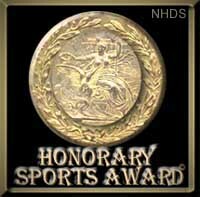 The Nu-Horizons Design Studio Honorary Sports Award was awarded to this site on December 21, 2001. The award is given for sites that are well designed. "We applaud your site's ease of navigation, and unique content. It is with great pleasure that we give you the Sports Award." The Critical Mass Award was awarded to this site on December 21, 2001. This award is given to sites that make the Web a more interesting, useful and attractive place to visit. "A very nice site, excellent design, clever original graphics, great photos, and you have provided your visitors with content that is informative, entertaining, presented well and easy to access. A worthy tribute and a positive contribution to the Web." Click here to go to the next page of the Trophy Case. The Feebleminds Award of Excellence was awarded to this site on December 20, 2001 for excellence in site design. "I visited your hockey site and was impressed with what I found. The site is clean and refreshing to view, the navigation was excellent and there was plenty of good content." 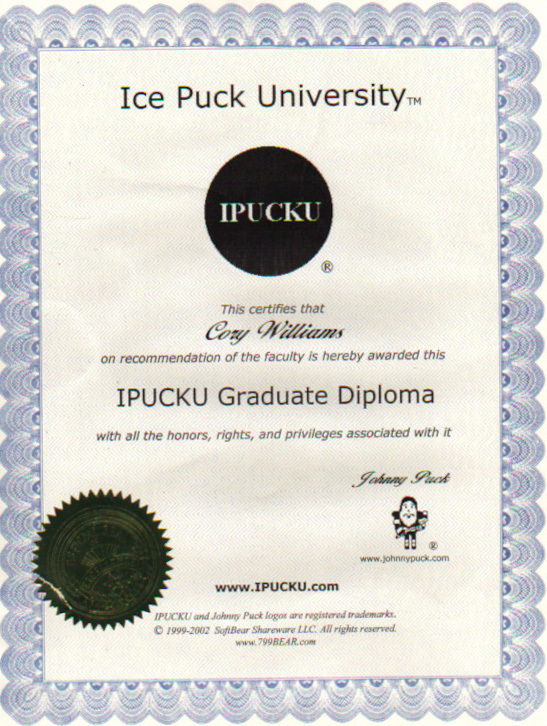 Awarded to Cory from Johnny Puck at the Ice Puck University. The No-Evil Family-Site Award was awarded to this site on December 21, 2001 and is given to sites that are family friendly and positive in nature. In addition the site must be 100% safe for children. The SlapShot Award from Ice Puck University was given to this site on December 27, 2001. This award is given to hockey themed websites. The Johnny Puck All Star Award was given to this site on December 27, 2001. The award is given to hockey themed sites.